This is a global GSM phone. It can be used with AT&T and T-Mobile USA, but without 3G. 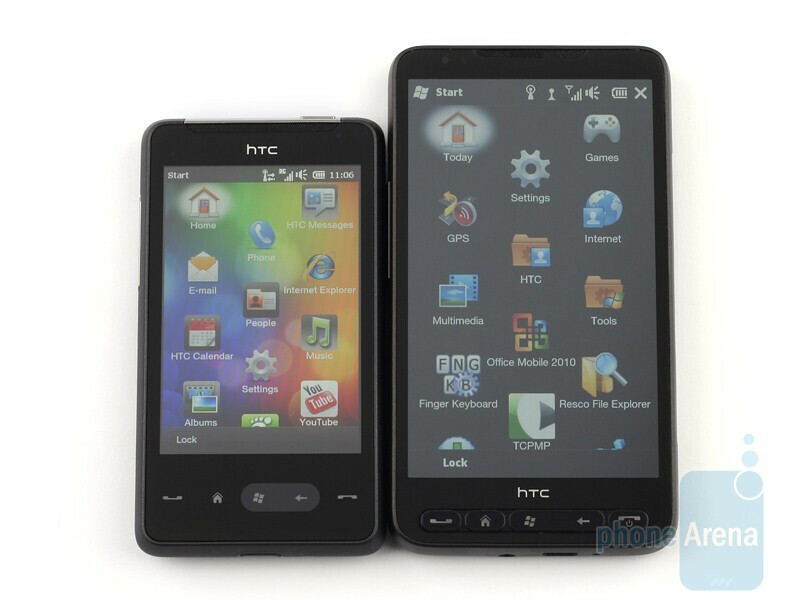 At this year's MWC, HTC, the premier Windows Mobile phone manufacturer, officially announced what's maybe one of the last smartphones to run the condemned Windows Mobile 6.x.x OS - the HTC HD mini. As the HD mini arrives at this world during what's probably the last days of the Windows Mobile platform as we knew it, we can't help but wonder if it's gotten the guts to face the plethora of Android phones that are flooding the market right now from literally every direction. 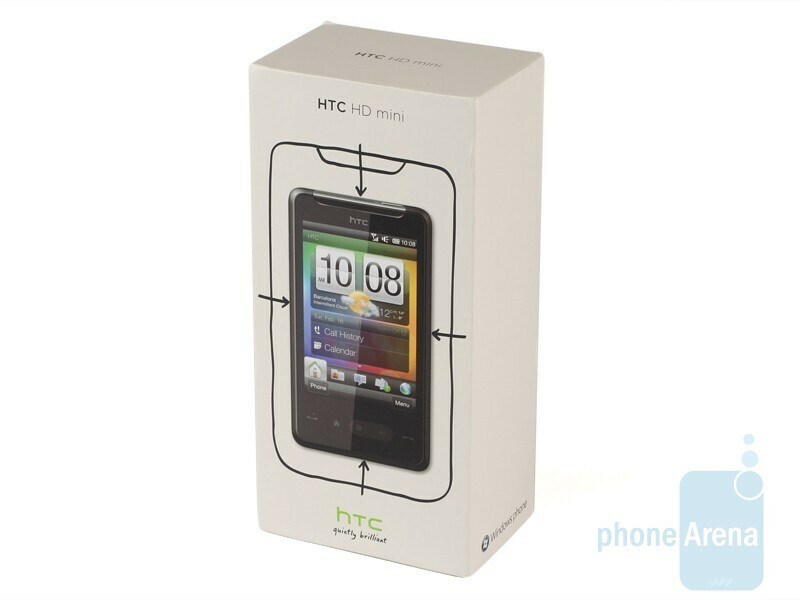 Still, HTC wouldn't have been such a name today if wasn't making quality products that the users enjoy. Of course, the most important question here is how "mini" is the HTC HD mini. It depends on your approach really. 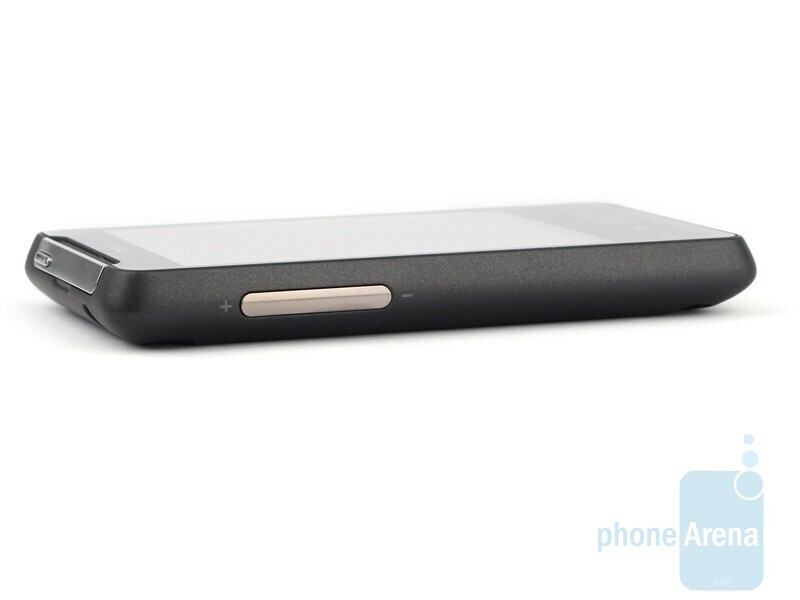 If we are to compare it to the HD2, the HD mini looks like a very compact and much more comfier to carry around phone. Pitting it against the numerous other offering based on different platforms though will reveal it's far from being the smallest device. Still, it is pretty compact and can be easily operated with one hand only - a definite advantage for some. 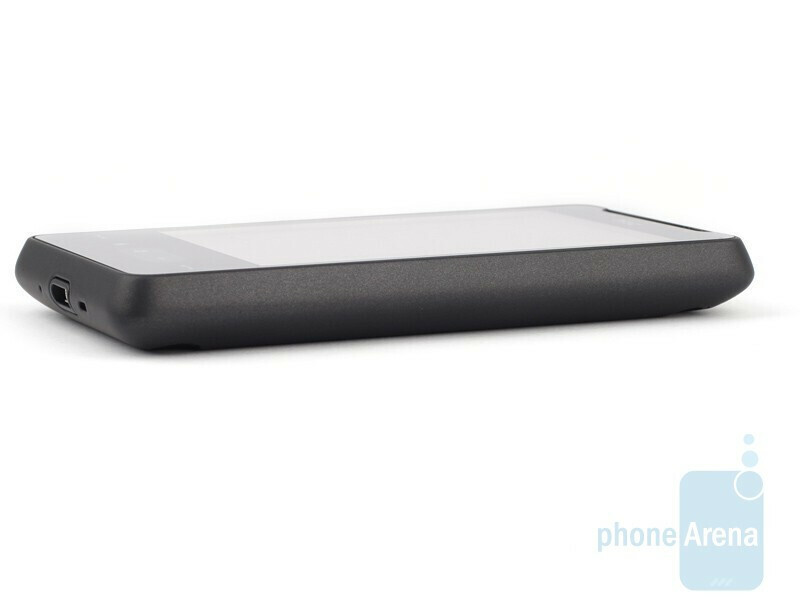 You can compare the HTC HD mini with many other phones using our Size Visualization Tool. 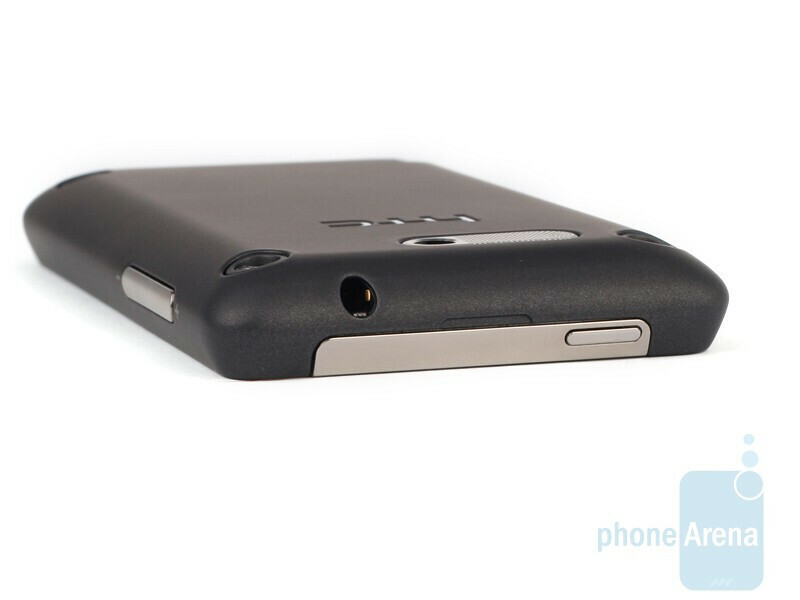 The second element that's of interest in the HTC HD mini's workmanship are the four screws on the back. In addition to looking cool and unique, they are practically holding the phone together, so do not attempt to remove them. The screen is 3.2-inch - which is pretty nice for this overall size - and fortunately it utilizes capacitive technology, making it the second WM phone with such display. 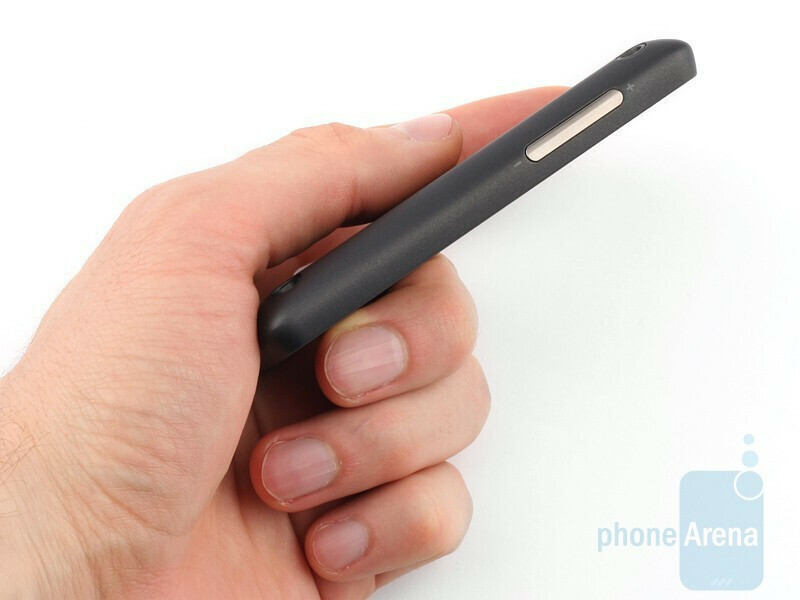 This makes using the handset a breeze and much more fun. While image quality is not bad at all, the resolution is HVGA (as on the iPhone), meaning smaller text may be a bit hard to read, because of "pixelization". However, even though the screen is TFT and not AMOLED, you'll still be able to enjoy some rich colors. Multitouch is available in some apps like the browser, the photo gallery and Google Maps, and on the whole it works satisfactorily. 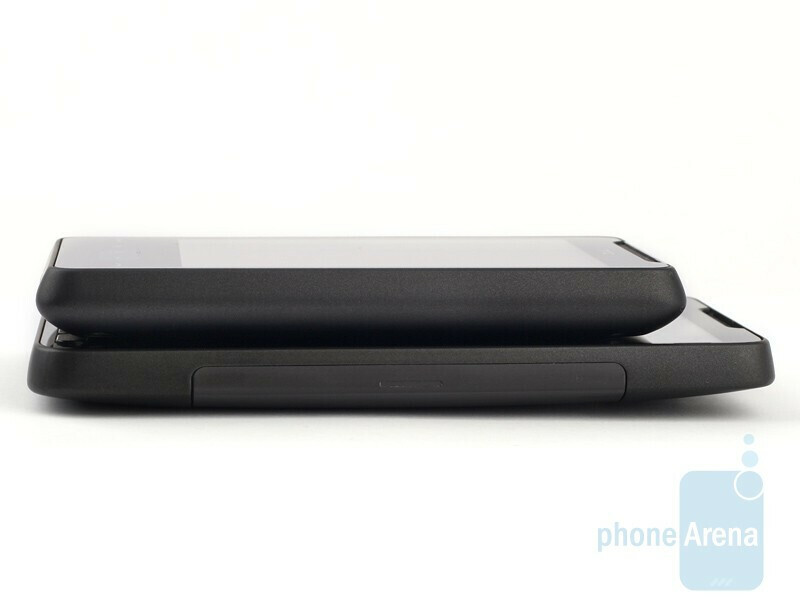 Below the screen is the same exact key layout we saw on the HTC HD2, with the major difference that they are capacitive and not physical here. They have a strong white backlighting with a green tint, which makes them easy to use in the dark. 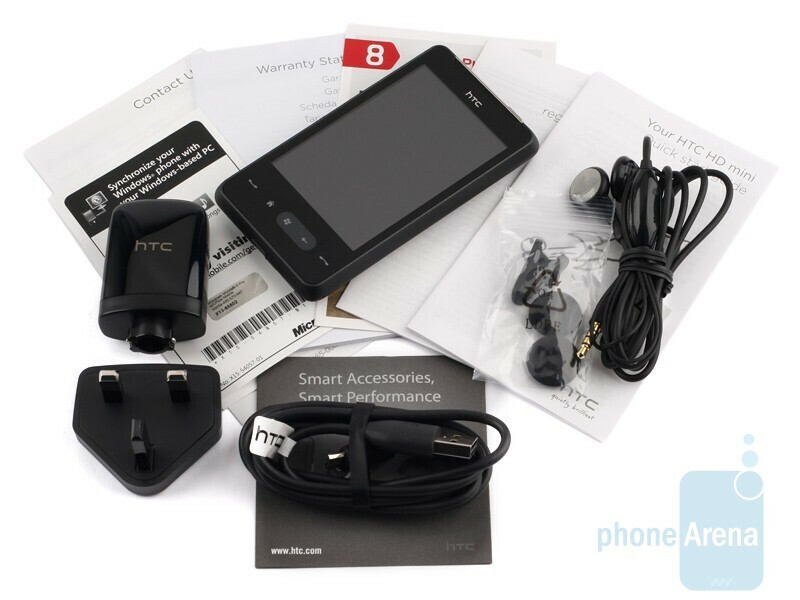 All in all, the HTC HD mini is a very solid and good looking smartphone. At least here, in the design department, it succeeds in delivering that high-end feel one would expect from an "HD" handset. 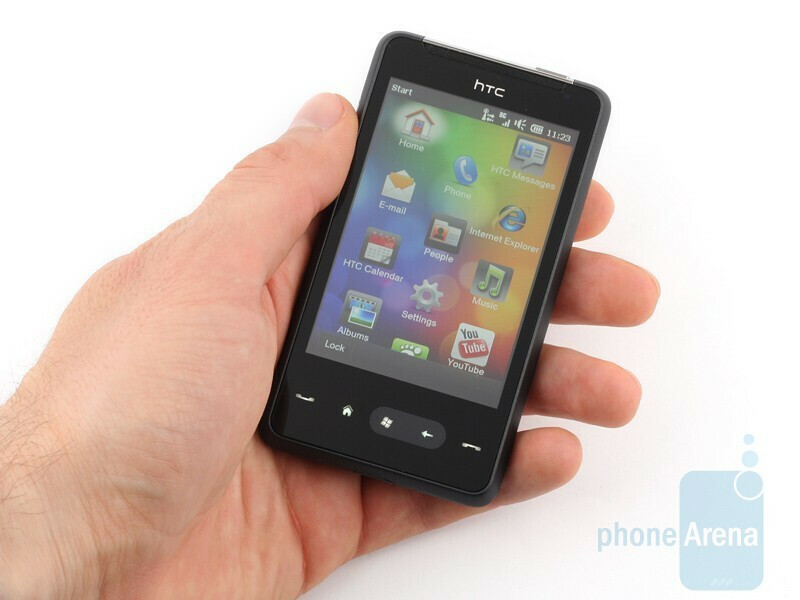 Nice looking compact phone that shares a lot of things inside with HTC HD2, which is a good thing. Too bad they were not able to squeeze in a decent camera. One thing that I am going to miss with a lot of new phones is the presence oh hardware buttons. There are a lot of different situations when it is so much more convenient to push a real button. Also, regarding the WM, I am not sure I share optimism about the upcoming Windows phone 7. As a business user, I don't really mind WM at all, and I am afraid the new OS will be a little bit too much average-consumer oriented. And thank you, fellows, for a nice review, as always (btw, that latest YouTube I Hate Iceland clip frame is a nice touch)! Every one acknowledges that humen's life seems to be not very cheap, however people need money for various things and not every one gets big sums money. Therefore to get fast credit loans and secured loan would be good way out.